Change of Heart. A reflection on the Orlando Pulse tragedy. 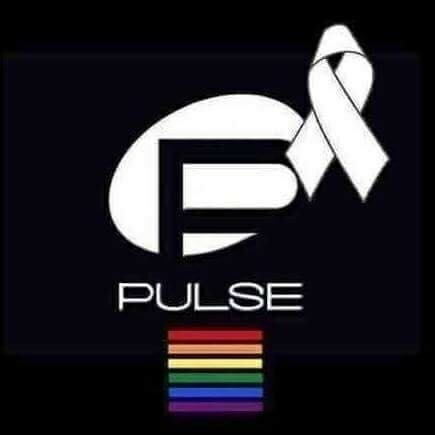 Many of us woke up Sunday morning (June 13, 2016) to the news of the shooting in an Orlando nightclub called Pulse. The shooting left 49 dead and 53 wounded. On their website Pulse describes themselves as “Orlando’s Premier Gay Nightclub.” This shooting has touched the hearts of many, but my question is will it change them? Just a few short weeks ago we had many American’s attacking transgenders, especially transgender women because we didn’t want them in our bathrooms. The topic brought a lot of public opinion and all of a sudden everyone was worried about how to protect our women in public rest rooms. Why? Because all transgender are obviously rapists and perverts? With the shooting in Orlando I am hoping that American’s will see that homosexuals are being attacked and demonized on a level that is pushing people to levels of hate. “President Obama, speaking to reporters at the White House, said it appeared the attack was “an example of the kind of homegrown extremism that all of us have been concerned about”, with a gunman who was inspired by radical material he found online. Is it truly a wonder that hate for the LGBT community was “homegrown” in this man? I was raised in church. I’ve been a faithful attendant for the majority of my adult years, but as a Christian I believe that we have over preached the sin of homosexuality. I mean isn’t it easier to point the finger at someone else’s sin than to face the fact that we have our own? What about the sin of adultery? It is estimated that roughly 30 to 60 percent of all married individuals will engage in infidelity at some point in their marriage. So why are we preaching to mostly homosexuals that they are going straight to hell? A popular verse in the bible that is used against homosexuality is 1 Corinthians 6:9-10 which says,” Or do you not know that the unrighteous will not inherit the kingdom of God? Do not be deceived: neither sexually immoral, nor idolaters, nor adulterers, nor men who practice homosexuality, nor thieves, nor the greedy, nor drunkards, nor revilers, nor swindlers will inherit the kingdom of God.” Why are we preaching mostly on the ones who practice homosexuality? If we are casting our judgment and sending homosexuals to hell, why are we letting the thieves and drunk people get away? This shooting was an act of hate. Shouldn’t those who believe in Jesus who came to save the world hold to a higher call of fighting against the hate that is demoralizing our culture? When tragedy happens we have an appearance of being united. We have hashtags to pray all over the internet. Until we have to face laws being passed where now homosexuals are allowed to get married. Then we slander and hatred spews out of many of our mouths as to why “those people” shouldn’t be allowed to get married. As a culture we need to take a different approach when discussing our differences. One of my favorite quotes is by Pastor Rick Warren, “we don’t have to agree on anything to be kind to one another.” I believe just this thought could change the way our society treats one another when facing our differences. Just because you don’t believe what I believe it doesn’t mean that I have to hate you. It doesn’t mean that I have to call you names and devalue you. These values are things that we need to instill in children while they are young. I believe parents have a huge responsibility to teach their children not to hate people just because they look or do things differently than you. As described by one club-goer, interviewed by WJBT News, “It was dark, I didn’t know what was going on. People were running by me and I was getting covered in blood by other people. I didn’t know what was going on, I just stood there in shock. Listening to gunshots”. Watching this man crying on this video should remind us of the frailty of humanity. We can all be objects of some random persons hatred. None of us will ever live by the standards each and every person expects in this world. We have to have a sense of humanity towards one another. Those 49 people who died were human just like you and me. They took their last breath early Sunday morning all because of hatred towards the way they chose to live. It is our responsibility as a culture, for those 49 that died and more than 50 that have been injured, to remember that we are all still human.